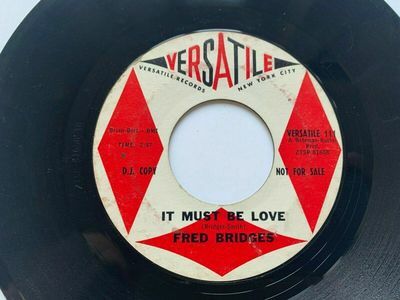 Fred Bridges on Versatile 111. "Baby Don't You Weep" and "It Must be Love". The vinyl is in VG+/VG condition. The labels are clean. Please click below to hear actual sound clip of record. !! !Top Cash Paid For Quality Collections!! !